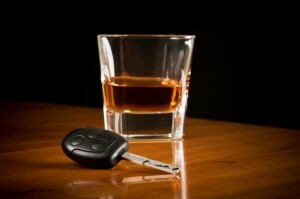 Best Drunk Driving Crash Prevention Tips | Phoenix Personal Injury Law Blog - Breyer Law Offices, P.C. At all times during the weekend, frustrated drivers, speeding drivers, road rage drivers, and drunk drivers are out in full force, and the latter could put you at serious risk for being involved in an Arizona drunk driving accident. If you’re worried about being involved in a collision with a drunk driver, there are ways that you can prevent it. You could always stay inside and enjoy the nice, long weekend from the comfort of your bed. But if you have other plans, and those plans include going outside and having fun, especially at night, then you’ll need to get acquainted with methods for keeping yourself and your passengers safe. Here are some questions you should ask yourself before hitting the road. Will you be driving at night, and how often? If you are driving at night, you are likely to run into motorists who have spent the evening in a bar. And that means that you’re likely to encounter a drunk driver or two. Are you traveling in areas with multiple bars and clubs, and other establishments that serve alcohol? When you’re traveling in areas that are high traffic for individuals who drink, you’re more likely to come into contact, or close proximity to, drivers who have had too much to drink but think that they can make it home anyway. How should you act when you’re in close proximity to a drunk driver on the road? It’s important to pull off the road, either by taking a side street or exit, or by pulling onto the shoulder; turn off your lights; and let the drunk driver pass you by. Never try to get their attention. What if you have been drinking? If you’ve been drinking, get a friend or family member to come pick you up, hire a taxi, stay the night – basically, do anything besides driving. The top injury lawyers at Breyer Law Offices, P.C. hope you heed this information and do whatever is necessary for your safety. New Year’s Eve May See More Drunk Drivers – Be Prepared! Is It Legal to Drive Under the Influence of Marijuana? Can Police Test for Drugged Driving?